On a recent family vacation, I loved seeing these stickers on trash cans along the boardwalk and on the beach. 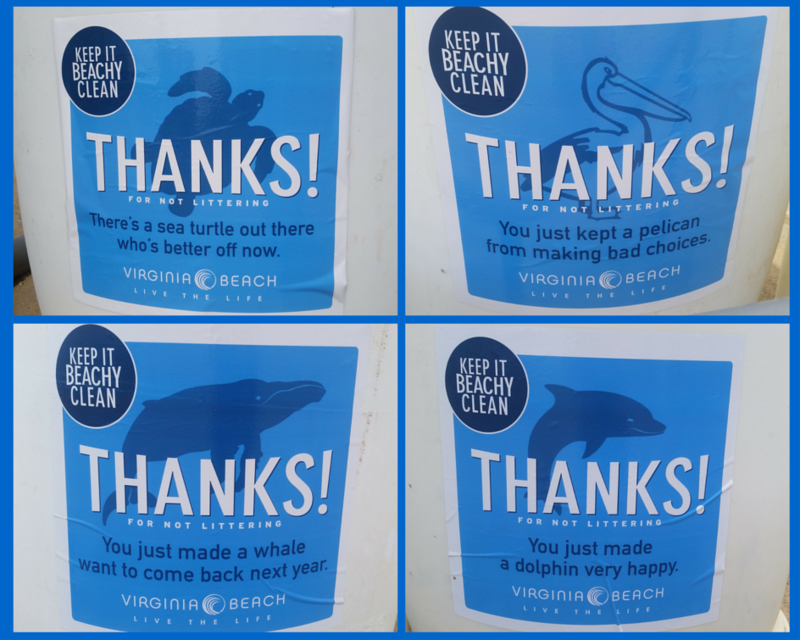 As part of Virginia Beach’s “Keep It Beachy Clean” campaign, messages like “Thanks for not littering! You just kept a pelican from making bad choices.” or “Thanks for not littering! You just made a whale want to come back next year.” added a bit of humor to a reminder of why the message mattered. It’s also a good reminder for all nonprofit marketers: when asking someone to do something—whether that’s making a donation, volunteering, or putting trash in its proper place—don’t forget to tie your ask to why it matters. Why should they care? Why will it make a difference? Connecting a simple anti-litter message to the easily identifiable wildlife that would benefit from that action kept the “why” top of mind for all beachgoers. How are you keeping the “why” front and center for your donors?